When it comes to doing business online, especially e-commerce, Amazon is a safe bet to admire. Since the site’s inception in 1994, Amazon has single-handedly changed the internet’s entire landscape. They’ve had a few flops and plenty of successes over the years, but one fact remains true: There is no better company to gather marketing inspiration from in today’s online marketplace. Amazon’s annual Prime Day promotion got off to a rocky start in 2015. With a combination of public confusion and lackluster product selection, many considered the event somewhat of a failure. Amazon was determined to redeem themselves over the next couple of years, and they did so in epic fashion. 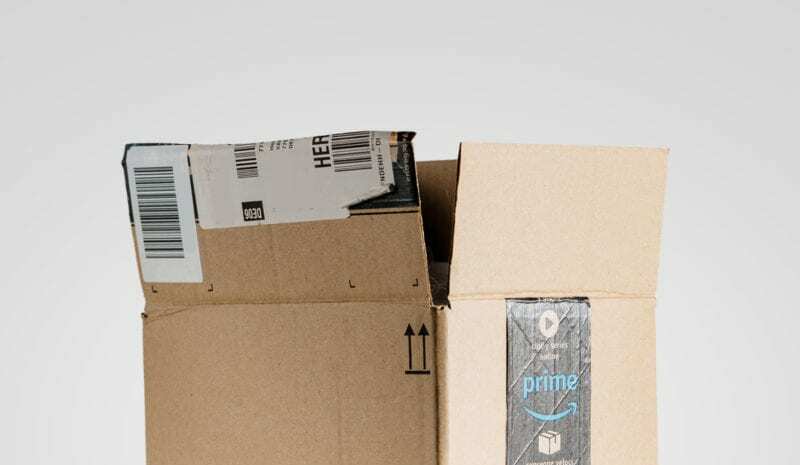 With its third annual Prime Day subscription promotion this past summer, the shopping giant boosted global orders by 60% during Prime Day in July of 2017. Amazon’s U.S. orders rose by more than 50% and Prime membership sign-up experienced its highest day ever. Even more surprising: Amazon Prime Day sales beat out 2016’s Black Friday and Cyber Monday numbers combined! It was the company’s biggest day ever—and that’s saying a lot. They also earned these sales in mid-July—a notoriously slow retail month. Needless to say, Amazon Prime Day is a brilliant promotional success. Some say they got lucky. We say they got savvy. Major brands like Amazon routinely take advantage of promotional strategies to achieve their own desired objectives. This is in addition to any ongoing advertising initiatives. Amazon Prime Day is just one of those promotions. This theoretical holiday allows Prime members to enjoy exclusive deals on a wide range of merchandise. Amazon’s goal is to increase Prime memberships. The added sales are a mere bonus. Why is Prime subscription the goal? Because prime members are more likely to buy from Amazon all year long with the promise of free, two-day shipping. So a specific consumer goal yielded a bunch more loyal Prime customers plus a jaw-dropping increase in sales. And that’s the key to a successful promotion: driving a clear, measurable action. If you go looking through a thesaurus ($11.95 on Amazon.com) “Promoting” and “Advertising” come up as synonyms. To most people, they mean the same thing: hawking your wares and/or services to consumers. However, to a keen marketing maven, promoting and advertising are more like fraternal twins. Sure they come from the same place, but they can look (and be) vastly different. By nature, advertising is an ongoing, brand-building effort. It’s a marathon without a finish line designed to keep your company top of mind, recognizable and ahead of the competition. In contrast, promoting is a sprint. It’s an intense effort with a specific goal in mind. When executed properly, the two can work together in beautiful harmony! To make the most out of your promotions toolbox, you first want to hone in on the goal you want to achieve. Is the objective to introduce a new product to the market? Boost subscriptions to your service? As mentioned earlier, promos work best when you have a specific action you want consumers to take. Once you know your desired outcome, you can then use your advertising campaign metrics to decide the best way to achieve that goal. What kind of advertising do your consumers tend to respond to best? Use your long-term advertising findings to dictate your promotional strategy. Your promotion will be more successful if you fish where the fish are. Promos are catchy, memorable, and encourage prompt action. Ideally, you want your promo to spread wide and fast among your targeted audience. So set your creative team to work dreaming up various promos to achieve the goal you set. Then choose the most strategically sound one. Heck, even make up your own holiday. It worked out pretty well for Amazon! The timing of your promo is critical. For example, launching a gift-wrapping service the day after Christmas might lead to an epic promo fail. Now this is an exaggerated scenario, but you get the picture. Consider both consumer behavior and seasonal influencers to determine the right time to launch, and then launch your promotion with everything you’ve got. Spread the word on social media. Create digital campaigns. Buy some billboards and ads. In general, push your promotion through whatever medium will best reach your target audience. Again, fish where the fish are. You would be hard pressed to think of a company that needs to offer a special promotion less than Amazon. Their advertising is everywhere (including people’s doorsteps). They follow customers around the internet with highly-targeted remarketing campaigns until a purchase is complete. Financial experts say Amazon is the only company that could ever feasibly buy Google someday. Their stock market position is consistently healthy and nearly all of their sub-products (streaming, hosting, music, fresh delivery, home services, etc.) make a huge impact to the bottom line. The question is WHY? Why would a global giant with more revenue than they know what to do with host a one-day promotional sale? The answer is simple: because it works. The lesson here is that promotions should be an integral component of all your marketing efforts. A good one can have lasting effects on your bottom line. So get brainstorming. Your customers will love you for it, and you’ll surely love them back! Go Big with Your Next Promotion. We know a thing or two about creating and launching effective campaigns for any business. Let's get started!